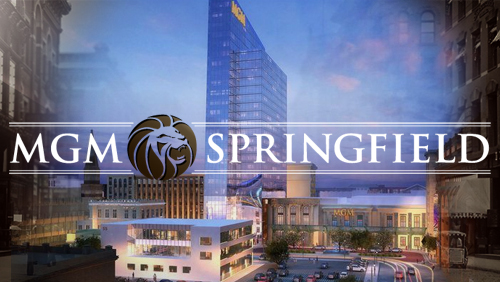 Thursday, March 28, 2019 MGM Grand Casino, Springfield, Mass. Here’s Your Best Chance To Expand Your Business With Consumer Lending Financial Leaders From Across The Region! This Is the PREMIER Event For Consumer Product-Focused Bankers, Credit Unions, And Mortgage Pros! Reserve a high-visibility sponsorship at the Northeast’s most dynamic conference for consumer loan pros! SIR’s Consumer Lending Summit provides an exceptional opportunity to showcase your solutions, while networking with hundreds of financial industry leaders, lenders and marketers, there because they want to improve their business practices – the best environment for you to show them how you can help them succeed! The sponsorships outlined below include a unique package of integrated marketing opportunities designed to help you reach this valuable audience. Our conference planners are devising an event that extends your reach, and that maximizes the return on every dollar of investment you make. SPEAKING OPPORTUNITY: PRESENT A 45-MINUTE CONCURRENT EDUCATIONAL SESSION. Topic must be educational in nature, and content is subject to Event Producer’s approval. Use of Link to Invite Industry Clients & Prospects at discounted price (Invitation link only good for limited time). Use of Link to Invite Mortgage Industry Clients & Prospects at discounted price (Invitation link only good for limited time). Silver Sponsorships DO NOT include a booth, but they’re a great way to get added exposure at the SIR Consumer Lending Summit! • Use of Link to Invite Industry Clients & Prospects to Attend at a discount (Invitation link only good for limited period). NOTE: Silver Sponsorships do not include an exhibit booth. Exhibit space may be purchased separately, if available. Be A Part Of Region’s Most Exciting Event For Consumer Lending Professionals! The SIR Consumer Lending Summit presents an exceptional opportunity to showcase your solutions, while networking with mortgage professionals from across the region. At the SIR Consumer Lending Summit, you will discover a thoughtful floor plan, high quality networking opportunities, and an exciting show floor featuring active networking, raffle prizes, complimentary food and more! The exhibiting information outlined below includes a unique package of integrated marketing opportunities designed to extend your reach, and maximize the return on every dollar of investment you make. • Use of Link to Invite Industry Clients & Prospects to Attend at a discount (Invitation link only good for a limited time). • Use of Link to Invite Industry Clients & Prospects to Attend at a discount (Invitation link only good for limited time).